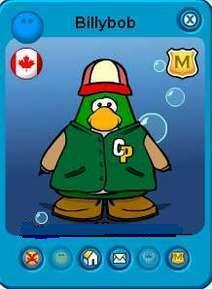 26 | December | 2007 | Cag97's Clubpenguin Site! ”The Dojo” is a room high up in the mountains.It has many purposes, like parties sometimes, wars, and some more fun stuff.People mostly like ”the Dojo” for all the wars that take place there.Like I said, there are a lot of armies!I also like ”the Dojo” for these reasons.So this is ”the Dojo”, and what it’s used for.Cya in Clubpenguin penguins. Now, don’t think this post is about the new items in Clubpenguin.It’s about the items and catalogs.I love new items and stuff coming into Clubpenguin. I mostly like clothing catalog releases in Clubpenguin.I love collecting old, but rare and cool items.There’s free items, pins, cool clothing catalogs, cool furniture catalogs, at paties there are some some cool stuff, and way much more!So here you have it.